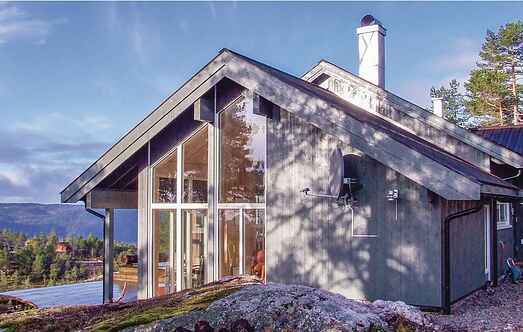 Find a vacation home to rent in Åmli Municipality from our list of vacation rental properties. 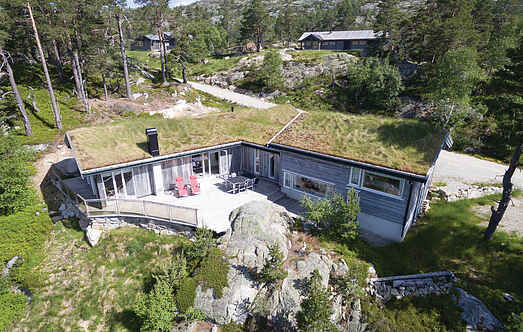 Campaya has over 20 vacation homes available in Åmli Municipality, which give you the possibility to locate a unique accommodation in Åmli Municipality which completes your check-list in search for the perfect self catering vacation apartments in Åmli Municipality or vacation villas in Åmli Municipality. Spend your next self-catering trip in this charming and comfortable holiday home. Be sure not to miss a stay at this attractive holiday home. The property is situated in fantastic natural surroundings. This beautiful holiday house offers a great view of the surroundings. This independent house is situated in a holiday home area, surrounded by nature. This really top class holiday home lies in Tovdalens beautiful landscape, surrounded by tranquil Norwegian scenery at its best. A bright and cosy luxury house, suitable for anyone who loves the outdoors whatever their age. Very well-equipped and with a lovely view from the delightful pool room. This really top class holiday home lies in Tovdalens beautiful landscape, surrounded by tranquil Norwegian scenery at its best. Unusually stylish and elegant furnishings. Spend a lovely and relaxing self-catering trip in this beautiful, and very well-equipped holiday home. Beautiful cabin with panoramic views over the mountains. The cabin is great placed on a beautiful and sunny plot. Very high quality log cabin in Tovdalen right next to Fosslaugfossen waterfall. Wonderful view of Tveitvatnet lake. This log cabin is built in traditional Norwegian style. There is a great outdoor area with garden furniture and a barbecue. Hillestadheia is Norway's southernmost high mountain. Welcome to a wonderful holiday in beautiful Hillestadheia. Situated on a sunny plot with beautiful view over small lakes and majestic mountains. Wonderful holiday house with a large, sheltered terrace. Here you have a great view over small fishing lakes, deep valleys and high mountains. Cosy mountain cottage, located sheltered by a small lake. Great view from both the living room & the terrace.